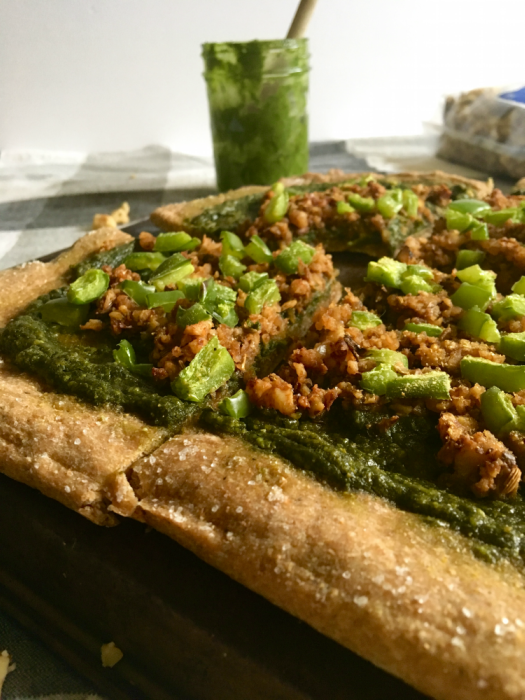 Today’s topic is something I think we can all enjoy: vegan pizza. I love pizza – I mean who doesn’t, I know, but we’re not talking that greasy-topped pizza people normally think of. We’re talking about some actually healthy food that just happens to truly resemble one of your favorites. What I really like about pizza is the ease by which it can be made. A simple pizza crust is actually SO EASY to make: flour, liquid, seasonings. No need to proof! I also like the ease by which it can be eaten, and the absolute versatility of the dish! In this house, we really like to view the empty crust as a blank canvas and mix up the toppings based on what we have in the pantry. That’s actually how this recipe came to be! Pizza doesn’t have to always be tomato sauce and mozz shreds…not that there’s anything wrong with that. But instead, think roasted garlic spread with shaved fennel, red onion, rosemary, and sweet potato, baked ziti pizza (YES, IT’S A THING! 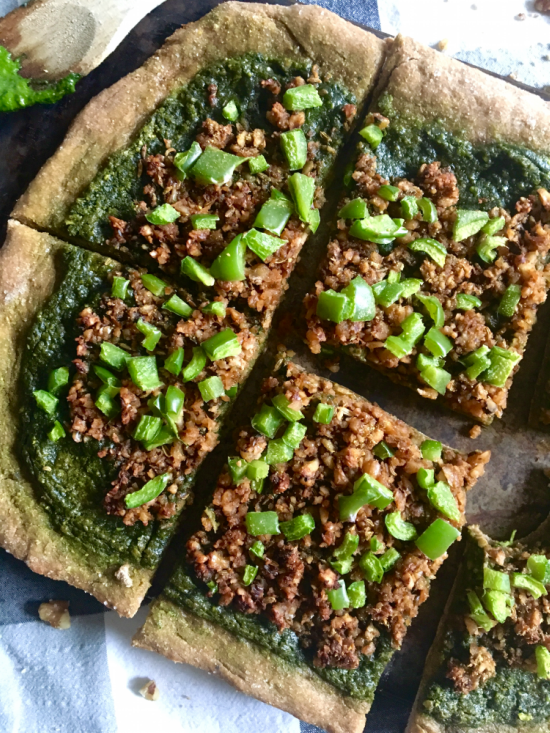 🙌🏻), or sriracha-soaked pineapple and thinly sliced seitan. The possibilities really are endless, depending on your palate and your palette. 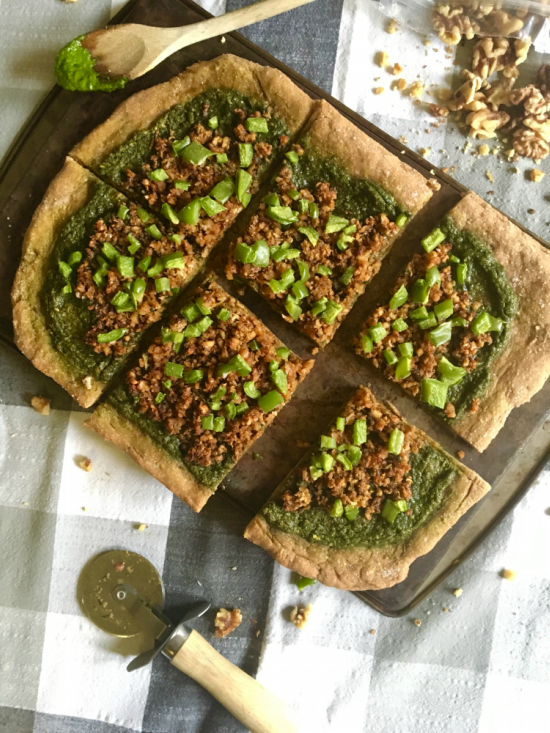 This is a super simple, super quick, super delicious, and actually pretty healthful pizza filled with flavor! We hope you make and enjoy it as much as we do. 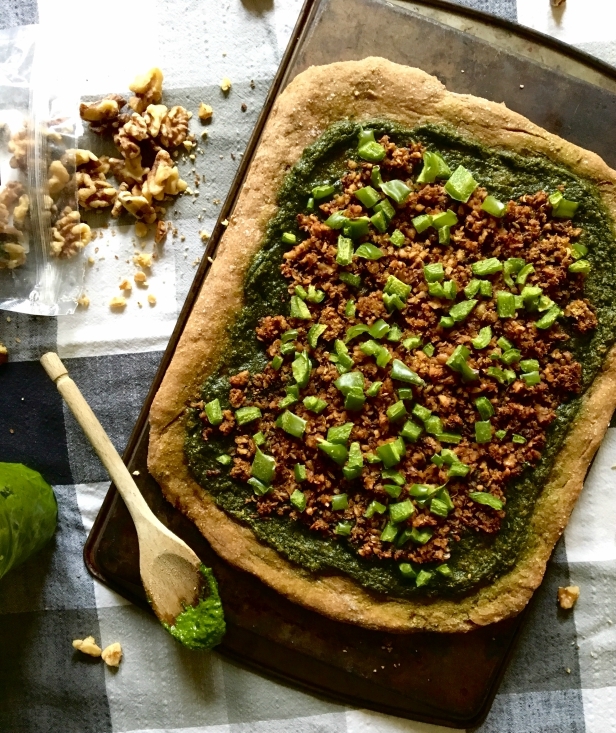 If and when you make this pizza recipe, we would love to know how it went! Leave a comment and rate it below or tag us in your gorgeous photos on Instagram to be featured on our Stories! 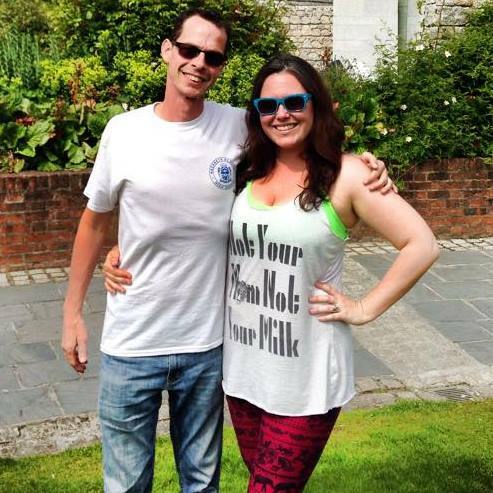 We’re @theplantpowercouple with the “the”. Now go and create your pizza masterpiece! First, preheat your oven to 425F and line a large baking sheet with parchment paper. Now, make your dough: Whisk together all your dry crust ingredients (flour, seasonings, sugar) in a bowl and create a small divot in the middle.Pour your beer into the divot and use a large wooden spoon to mix until a rough, shaggy dough is achieved. Use your hands to bring the dough together into a ball. Knead a few times and turn onto a floured surface.Sprinkle more flour on top of your dough and start kneading, adding flour as needed. You want the dough to be pretty smooth and not sticking to your fingers like crazy. If it's still sticking to your fingers, knead more flour, a little at a time. Place the dough back in the bowl, covered with a towel, and set it aside while you chop your veggies and/or make your walnut meat . Finally, assemble your pizza: Sprinkle a little flour on the parchment-lined baking sheet and place your dough ball on top. Use your hands (or a floured rolling pin) to flatten the dough onto the baking sheet until it is about 1/2 inch thick. 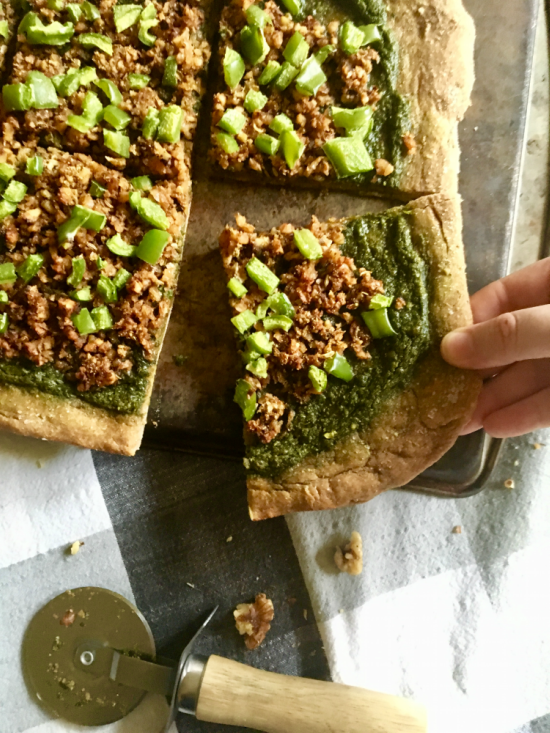 Spread a thick layer of pesto on the crust (make sure to leave room at the ends! ), followed by the walnut sausage and then the diced veggies. And now it's cookin' time: Brush your crust with some olive oil and sprinkle lightly with sea salt. This part is optional but totally worth it. Cook your pizza at 425F for 15-20 minutes. Allow your pizza to cool before serving and ENJOY!